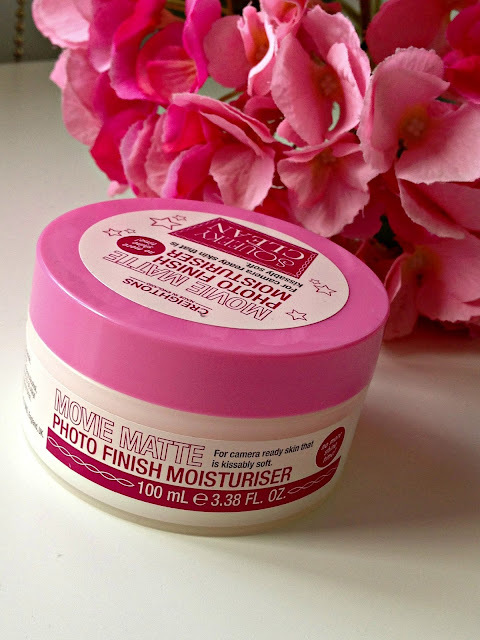 Squeaky Clean Range Part 1: Movie Matte Photo Finish Moisturiser Review! A few weeks ago I posted this picture on my Instagram and so many different blogger's went a little crazy about how cute AND cheap they were and they were also quite eager to see how I got on with them - a first for me on this blog! Of course I was just as eager myself so as soon as I'd finished Instagramming them, I started testing them out. I came across these when I was out food shopping in my local Lidl. They were 99p each (!) or 2 for £1.50 - an absolute bargain and I couldn't resist putting all 6 in my trolley! Why not? The product that stood out to me the most was the movie matte photo finish moisturiser. I suffer with oily skin and since trying a matte moisturiser from Asda, I am now completely in love with the stuff and of course that beauty blogger part of me wanted to see if Lidl's take on the moisturiser was just as good. To be short and sweet, the answer is yes. Not only does this moisturiser do exactly what it says on the tin, it smells amazing and let's be honest, it has a gorgeous girly tin! Even after the first use I was amazed at how good it was. It applied lovely and it didn't lie when it said it was a matte moisturiser. Even as I was rubbing it into my face, it was already started to set matte. Perfect! This moisturiser has now become a very valued part of my skincare routine and I will definitly be repurchasing when I've finished! You can check them out for yourself at your local Lidl. Also stay tuned as I'll also be writing reviews on the other 5 products in the range! Sounds really nice! I need to find a good moisturizer! Wow this is so budget and sounds great too - what a lovely find! I keep seeing these in stores and wondered if they were any good! I can't wait for the rest of the reviews as I'm really tempted by the price! I've seen this range in my local Lidl but was apprehensive about trying it out - defo going to go back and pick it up!